Kasiga School has received the affiliation from Central Board of Secondary Education (CBSE), New Delhi. The School is also approved by the University of CIE -Cambridge International Examinations, UK. The CBSE board manages a public examination at the 10th class level and another at the end of 12th standard. The school offers the students with supple opportunities of learning and articulates themselves. Kasiga School has well designed infrastructure which gives every classroom an open area at the back for education from end to end activities, both autonomously and collaboratively. Plenty of opportunities are offered to the students to enhance their skills in public communication via debate, dramatics, voice production, and music. The school was created with the aims to impart a moderate education with major prominence on problem solving skills, mutual respect, cooperation, a sense of liability, shared learning and to generate world leaders who know the value of humbleness. 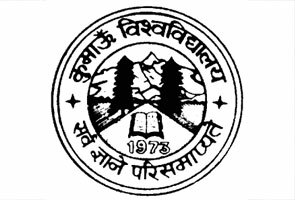 Kasiga School is approved to Central Board of Secondary Education - (CBSE), New Delhi. The School is also approved by the University of CIE -Cambridge International Examinations, UK. The CBSE board manages a public examination at the 10th class level and another at the end of 12th standard. The CBSE board is leading educational board in India which is operated by Central Govt. and this board came into reality in November 1962. The official languages followed by CBSE board are English and Hindi. The Kasiga School follows the norms of CBSE for yearly syllabus and examination. 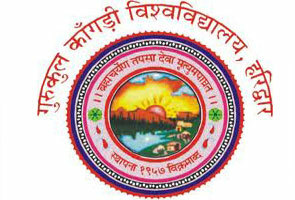 The school provides Hindi, Sanskrit, English, Mathematics, Science, Social Science, and Information Technology to the students of standard 10th. For Class 12th the school provides Science, Commerce, Arts and information technology subjects according to the interest of strong. IGCSE exams are also held at the end of 10th. It is the international aptitude for 14 to 16 year old students and is alike to the Class 10th Board Examinations conducted in India. The program offers a wide range of subjects both educational and professional which helps students to take entry into a University of their preference, a professional course. The course is presently renowned by more than 45 Universities, Boards and other academic bodies in India. The program is also one of those acknowledged by a massive amount of Universities and Colleges in many international countries including the UK, US, Australia and various European countries. Admissions in Kasiga School are unbiased and open for all society groups, with no difference of caste, color, creed or religion. 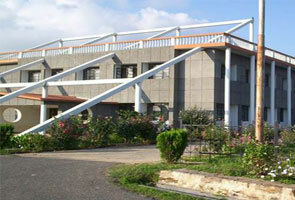 Admissions in this school are fully made on the basis of an evaluation and later interview. 3. 1st February to 31st March. Registration is starts for class 3rd beyond. The solely completed Application form must be submitted with the Admissions Office attended with a Registration Fee of Rs. 10,000. The deposited registration fee is non-refundable or transferable. Only Registration does not assure a seat reservation. Those students who are registered for the admission in this school will appear for an assessment exam held in January each year. The assessment test is general covering Mathematics, English, Science and General Knowledge. The questions listed in the test will be based on the syllabus recommended for the class that the student has just passed out of. Training for this test is not suggested. This assessment test will take two hours to complete. After the entrance test there will be face to face interview with the Principal, on the similar day. The students who successfully qualify the exam will be finalized by 31st January every year and they will be required to deposit documentation and fees, by 31st January if they want to take admission. The school I swell equipped with latest technologies and necessities including Wi-Fi, open and spacious classrooms, well maintained computer lab, three big music rooms, a Math Lab, one Art room, Separate Physics lab, Design Technology Lab, Chemistry and Biology Labs, a Library, Tennis Courts, Basketball Court, a Cricket Practice nets, Soccer or Hockey field, Riding area, Athletic field, Air Pistol Shooting Gallery, and Yoga porch. Kasiga School has concern for student health and so they offer for Full time, skilled, residential Hospital with regular checkup facility for children. The school also offers well organized mess for the student’s proper diet and meal. If you have any queries regarding contact Address of Kasiga School Dehradun for 2015 Admissions, Kasiga school results for previous year and other important info related Exam Dates for the following year you may contact at below listed official address of Kasiga School.